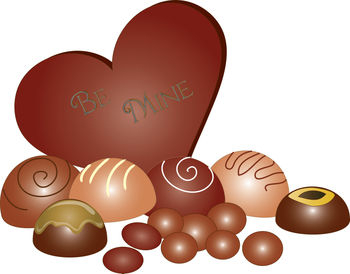 Description: Free Valentine clip art of chocolate heart, with truffles and other chocolates. This clipart image was created exclusively for Acclaim Images by Pamela Perry. Custom illustrations are available by contacting customer service.